I love P&P so much. However, when he says “You must allow me to tell you,” sometimes I just want to say to the guy, “Why must I? Is there a law that says I have to listen to you?” So this comic really does resonate with me. “Please allow me to tell you,” on the other hand, is respectful. 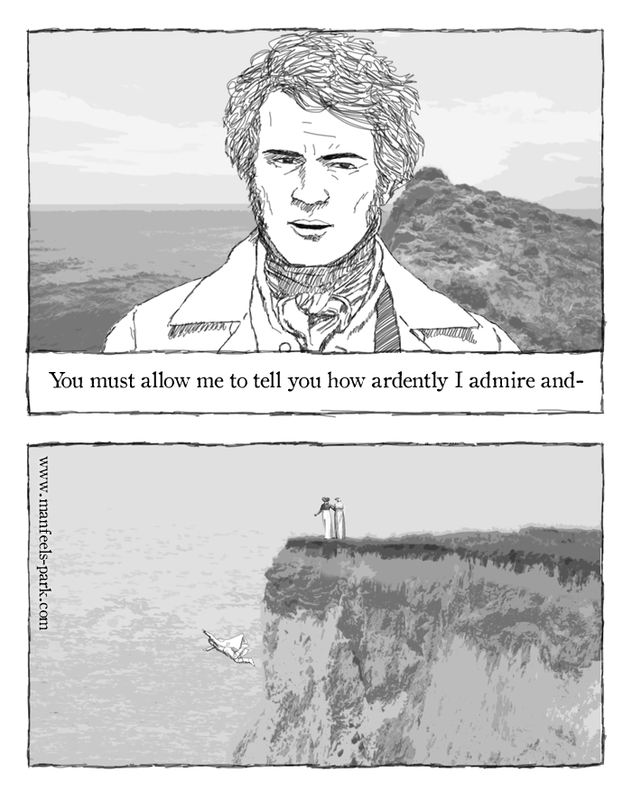 But then again, Mr. Darcy was not at all respectful of Elizabeth at the time, was he? Infatuated, but not true love. Not yet. Not until he also learned to respect her. But then again, Mr. Darcy is a dynamic character, who does learn, so YAY! Now where is my copy of the book hiding these days, anyway?